How can we make Rotherham healthier? 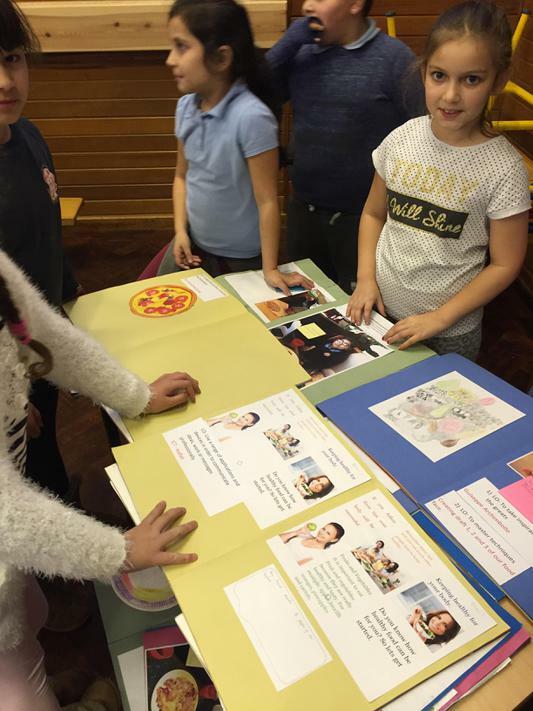 We taught the children and adults of Rotherham all about how to live a healthy lifestyle. 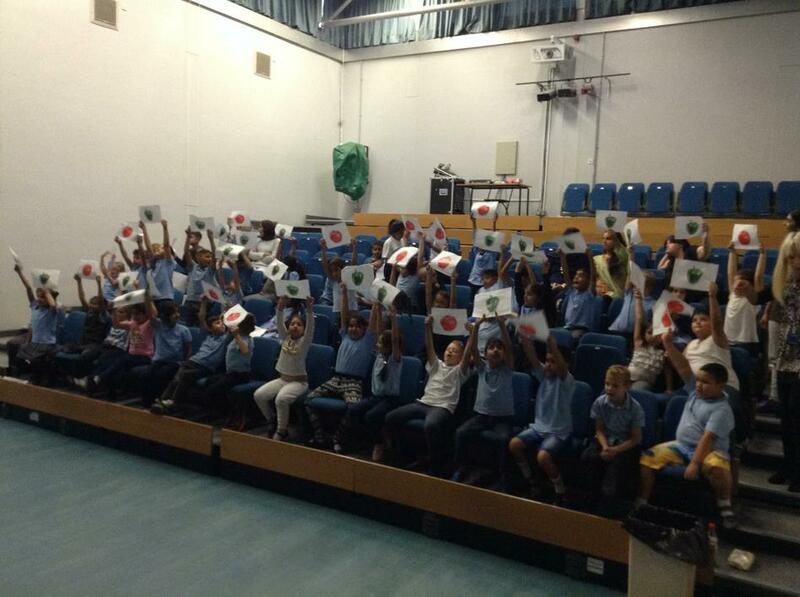 Great work Y3SW! 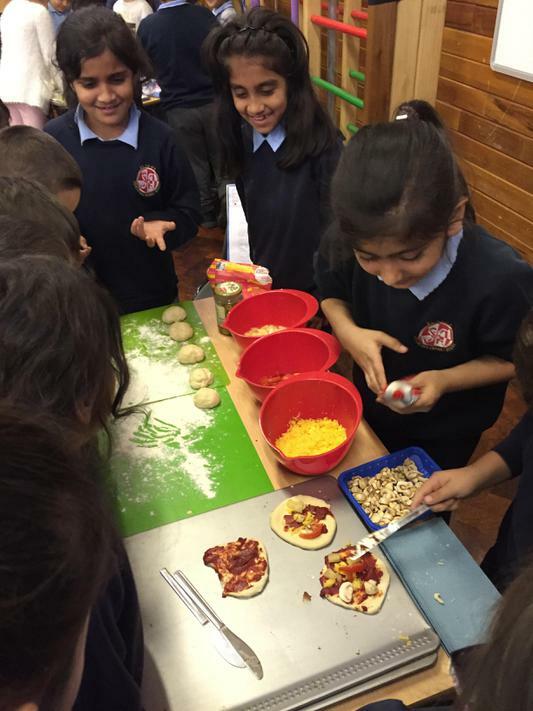 We have been working extremely hard on our project and have decided to choose pizza as the food that we want to focus on to make healthier. 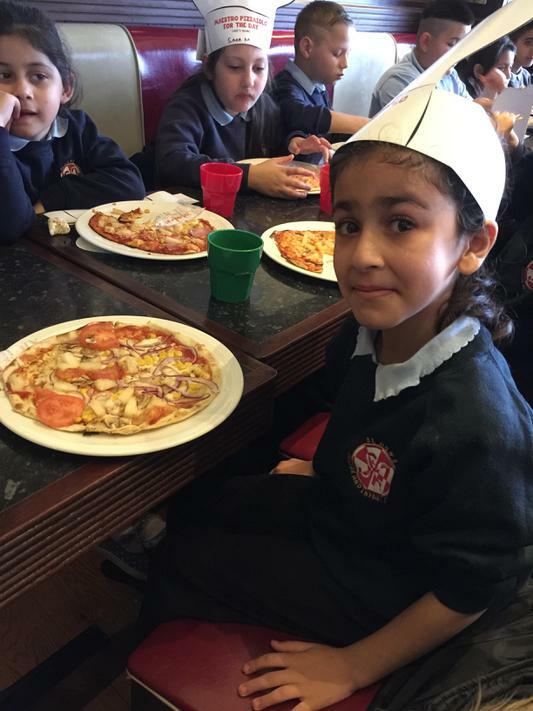 We created our first pizzas at Frankie and Bennies and realised they weren't very healthy. 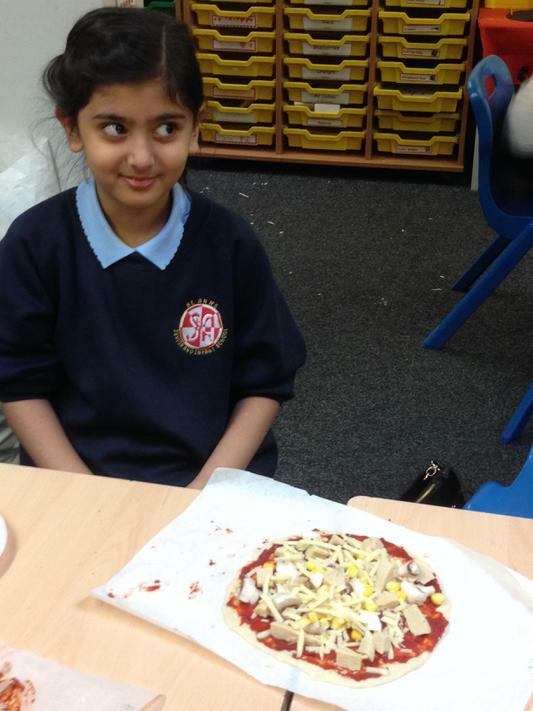 After critiquing our pizzas, we all noticed that we all added lots of fatty foods, like cheese. Sara commented, "I think that a really healthy pizza should have some protein like lean chicken and some vegetables on there." Mustefa pointed out that, " a little bit of cheese is ok but not too much as it is only healthy in moderation." Interestingly, Jasmina said that adding some salad as a side dish would make it a very balanced meal. 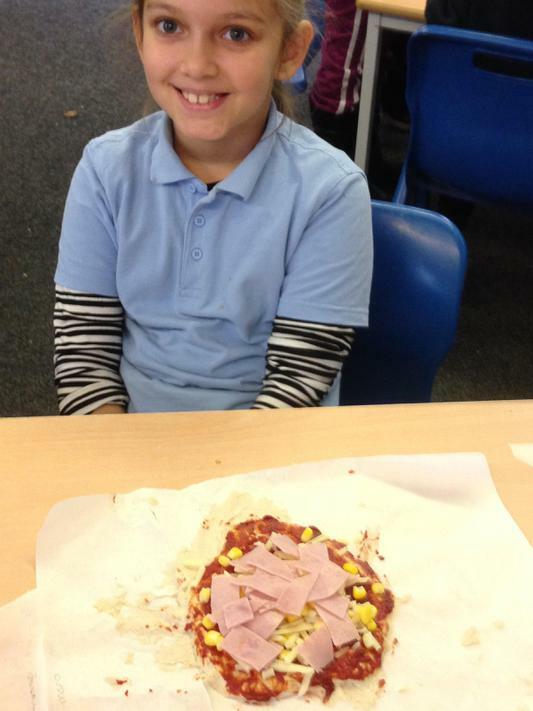 Have a look at some examples of our first and second drafts of our pizzas. Do you think that they look healthier now? Lots of protein has been added to this pizza. If you want to know more about how protein helps us to grow then our number 1 expert is Jaiden! 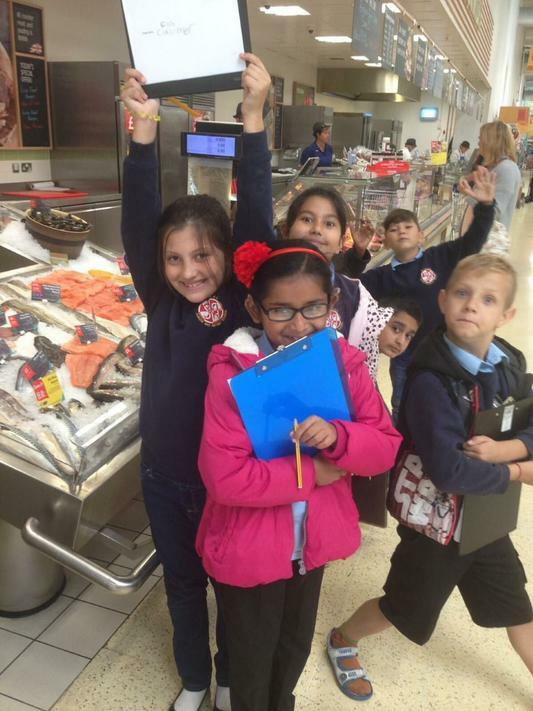 As part of our topic, we visited TESCO for some inspiration about how we can educate others to eat healthy. 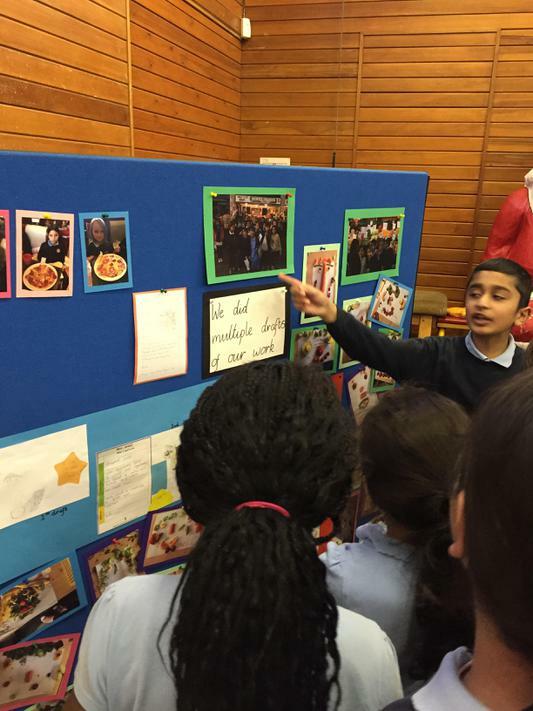 Our project launch was amazing! 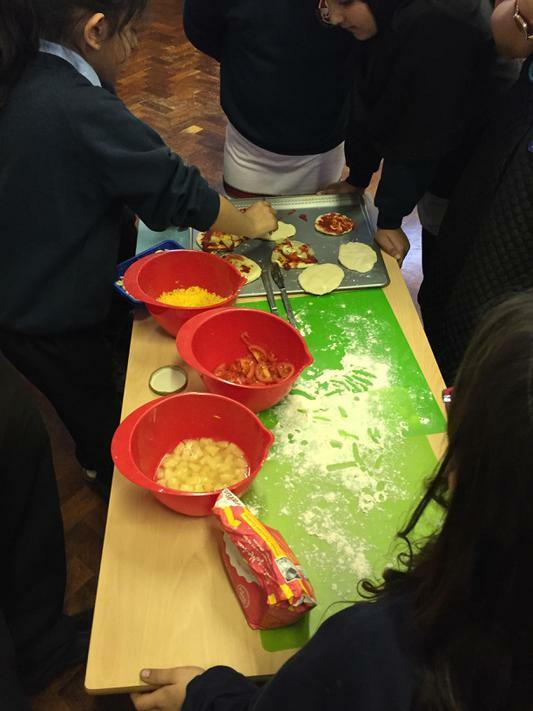 We were mini chefs for the afternoon and took part in Ready Steady Cook with our experts, The Ministry of Food.